After watching his side limp helplessly to a 3-0 loss at Anfield, Bournemouth manager Eddie Howe has tipped Liverpool to win the Champions League. 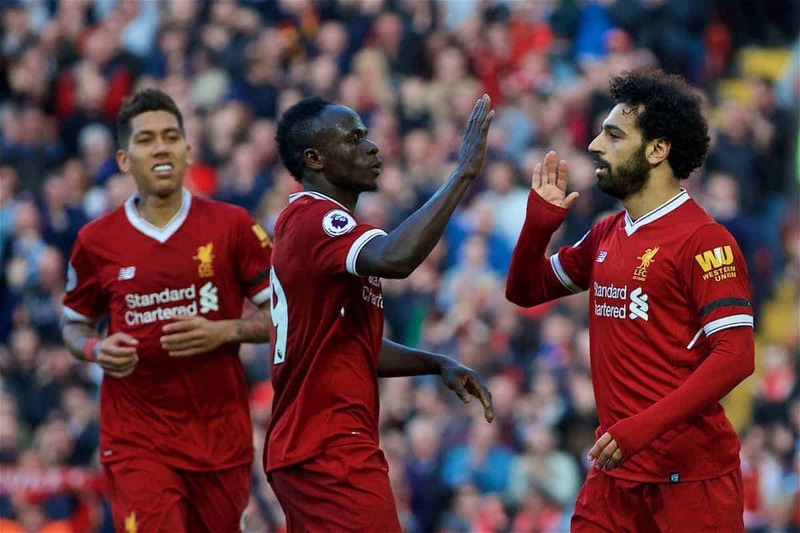 Goals from Sadio Mane, Mohamed Salah and Roberto Firmino capped a comfortable evening for the Reds on their return to home soil, after a triumphant night at the Etihad in midweek. Victory over Man City on Tuesday night sealed progress to the semi-finals of the Champions League, and to perform so well just four days after despite only one change was remarkable. Bournemouth toiled throughout as Jurgen Klopp‘s front three all netted milestone strikes for the campaign. And speaking to reporters after the game Howe explained how difficult it is to set a side up to counter their threat. “Full credit to Liverpool. Comparing them to last season I think they’ve really improved and grown as a team,” he said. “They’ve shown that throughout the season and of course in the Champions League. “A very tough team to play against at the moment and in the first half we struggled to live with their pace, energy [and] intensity. “We rode our luck at times in that first period and we were pleased to go in 1-0 down. “Its not just the front three. They’re outstanding players with their mobility and pace. “But also the midfield players, Oxlade-Chamberlain and Wijnaldum did really well today and Henderson is an excellent player as well. 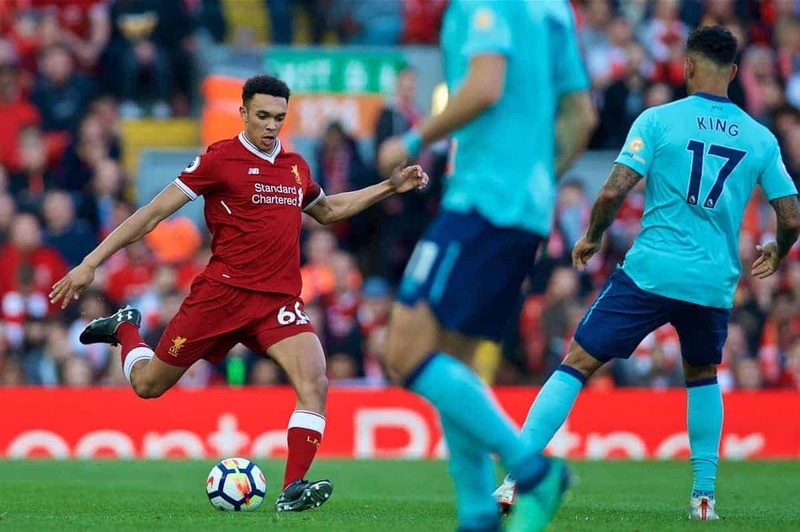 The Reds’ next clash comes away to West Brom in a week’s time, before attentions turn back to the Champions League, with a first-leg clash with AS Roma at Anfield on April 24. Klopp has stressed that there was no easy draw in the final four, but Howe believes the momentum Liverpool have generated should ensure them as favourites to lift a sixth European Cup. “Without a doubt I think they can [win it]. They’re obviously one of four teams who can win the competition,” he continued.